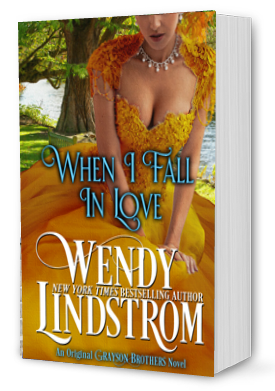 Special deal on When I Fall in Love! For a limited time this “emotionally gripping love story” is on sale for just 99 cents! The problem is that Nancy Mitchell can’t marry the man her father chose for her. Her only escape from the arrangement is to find another husband quick — so she agrees to become a mail order bride. When a drastic change in circumstances dumps her into the arms of Hal Grayson, the handsome, hardscrabble man wants to send her back home — a place to which she simply cannot return. Despite Hal’s protest, she notices the appreciation in his eyes and believes she can fan those smoldering coals into a blazing fire that will keep them both warm. Hal Grayson may not want a wife, but it was as clear as day he wanted her.